Why African Airlines Fail. Corruption Is NOT The Main Problem. 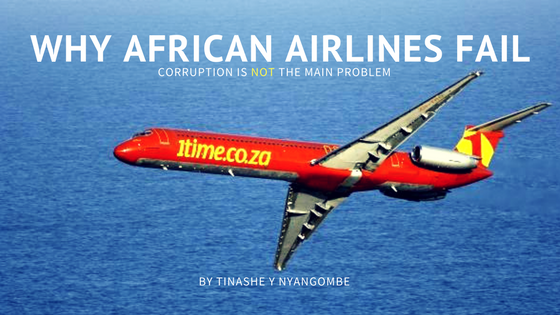 Posted byTinashe Nyangombe 10th Mar 2017 3rd May 2017 Posted inAnalysis, Developing African AviationTags: 1time, African, airlines, corruption, failure, flyafrica, investment, selfishnessLeave a comment on Why African Airlines Fail. Corruption Is NOT The Main Problem.